This event will take place in Smith Memorial Student Union on the PSU campus room 327 Please join us for the first regional assembly of animal liberation activists in the Pacific Northwest! Whether you're just learning about animal advocacy and have been looking for ways to get involved or you're an active organizer with many years of experience, we encourage you to participate. The grassroots animal liberation movement has been calling the northwest home for decades. This region is rich with history and milestones. We need to build our organizing capacity, face-to-face networks, and regional solidarity, and reclaim the history of our movement. This regional forum is the first step. 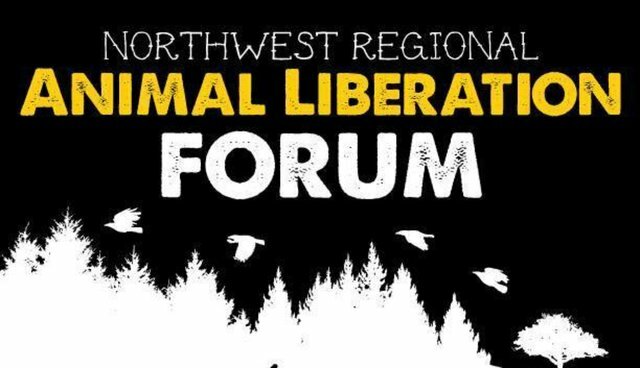 We will be hosting workshops on topics essential to grassroots organizing, facilitating a regional strategy session, and highlighting the NW-based #NoNewAnimalLab campaign. Network with new activists, connect with movement mentors, learn new skills, or hone old ones. This is a chance to build a network and increase support, knowledge, skill sets, and resources. If you're with an organization and want to sponsor, please let us know!